re⋅pair: to restore to a good or sound condition after decay or damage; mend: to repair a rug. res⋅to⋅ra⋅tion: a return of something to a former, original, normal, or unimpaired condition. Re-weaving, fringe repair, side selvedge repair (hand-wrap and machine serging), machine and hand binding, expert patch work to match original rug, shaving, blocking, size reduction, custom fabrication, bleed removal, and more. Our repair and restoration services are unsurpassed. 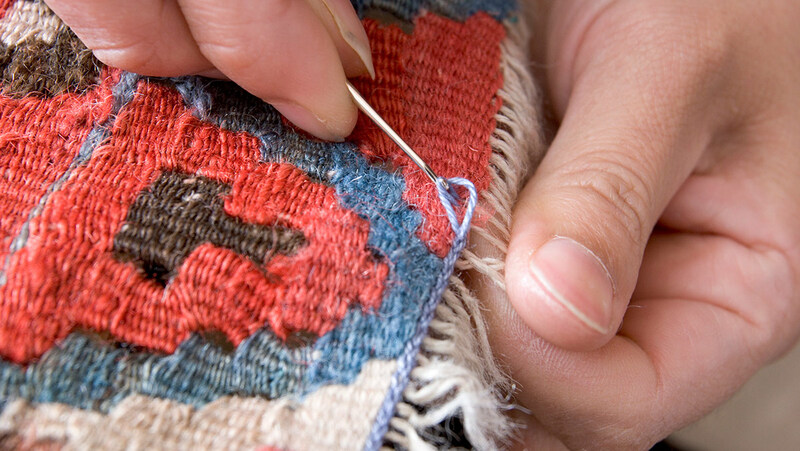 Contact us to learn how we can help repair and restore your rugs today.